© Roger Pearson, 23rd Sept 2017. Revised 25th Sept 2017, 19th July 2018. 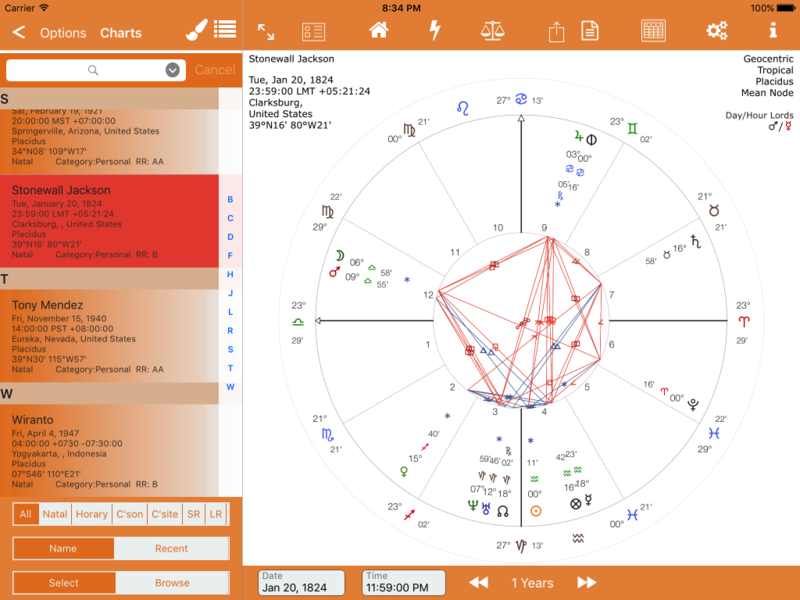 Astro Gold is an iOS astrology app. Solar Fire and Solar Fire Gold is an astrology Windows program. 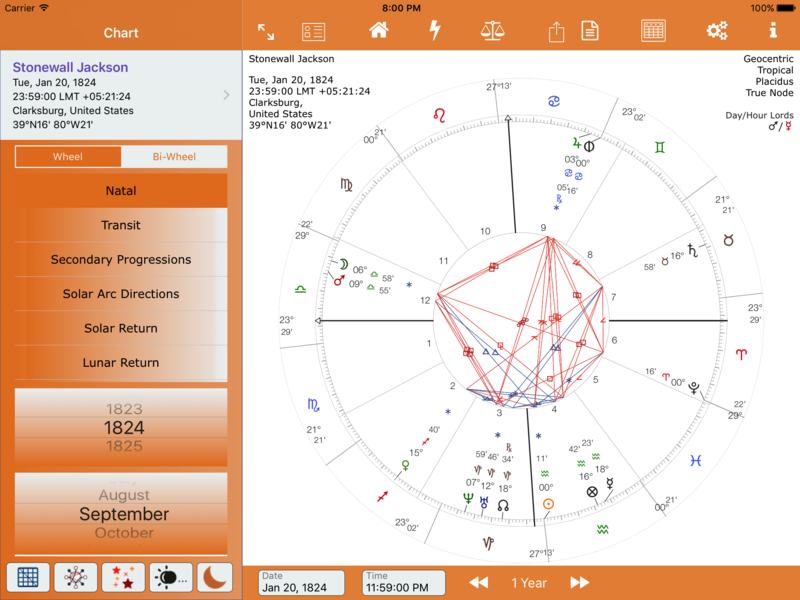 Both applications save their chart files with the extension SFcht. These files can hold information for one or more charts. These files can be exported from Astro Gold and Solar Fire via email or copied from your Solar Fire Charts folder. 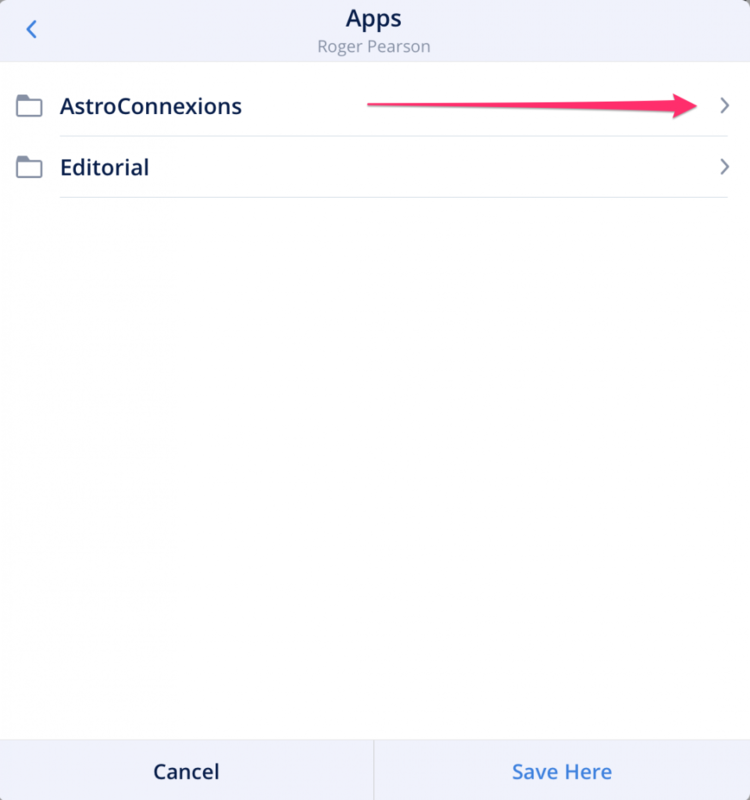 The files can then be copied to the AstroConnexions app folder in Drop Box. Then they can be imported into AC. 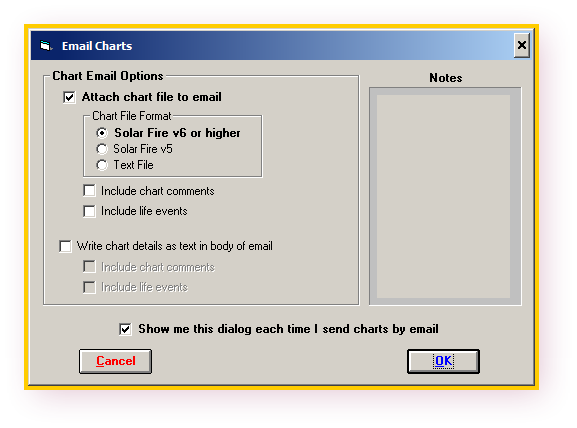 The following screenshots show a method of exporting SFcht file via email using the Solar Fire Windows desktop program. 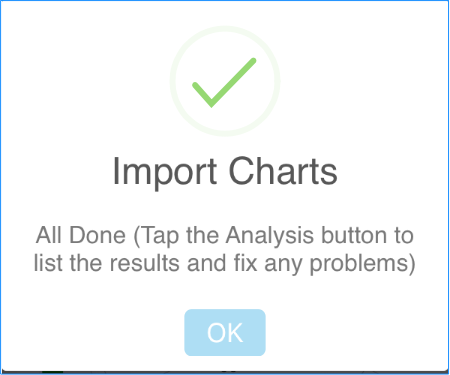 To keep things simple, only one chart is selected for export/import. The following animated GIF’s show an alternative method. 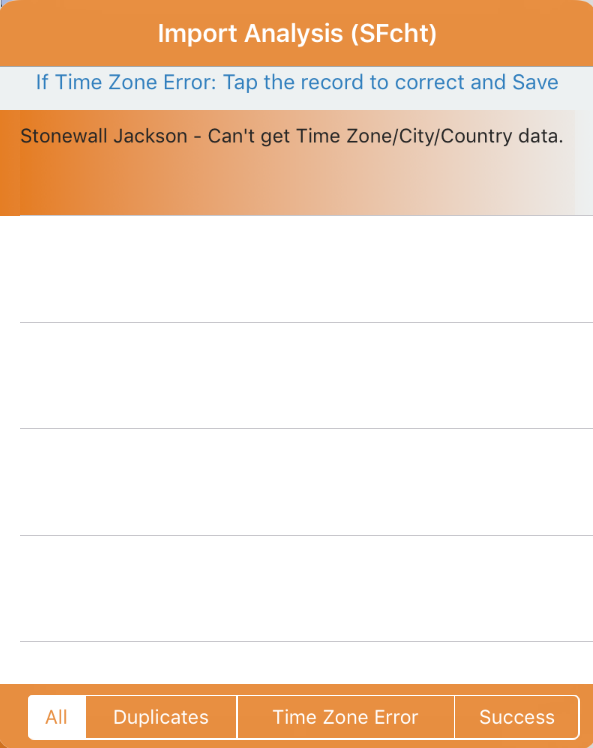 If a particular chart cannot be imported straight away into AC a procedure that uses forward geocoding retrieves the unresolved details, usually the latitude and longitude of the chart. This allows the chart to be saved to AC. 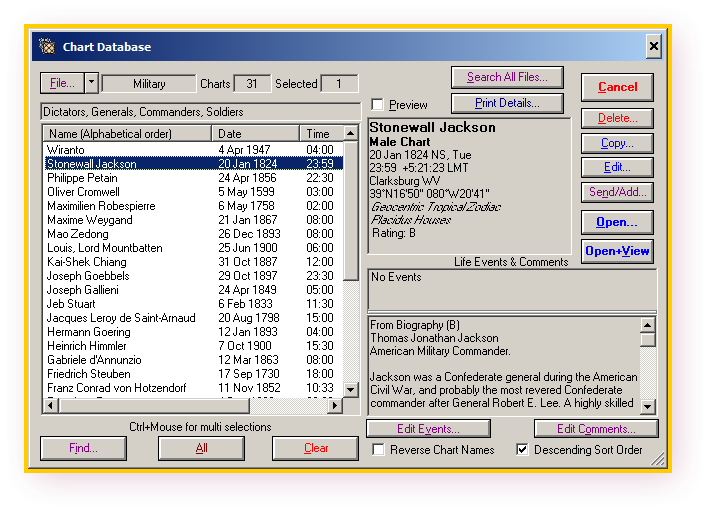 The charts without any problems are automatically saved to the AC database. More details below. 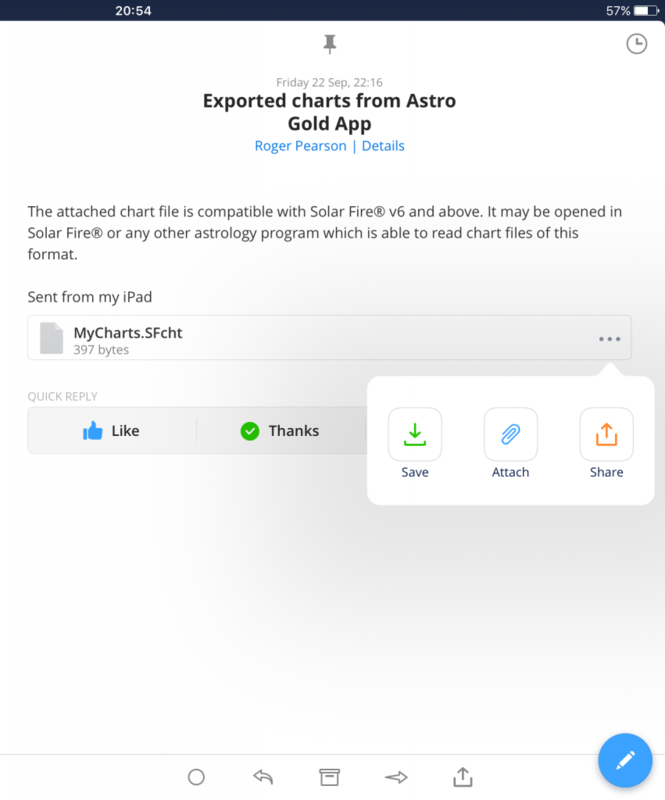 The AstroConnexions folder in your DropBox is automatically created by the AstroConnexions app so that you can place your exported chart files there. Please note that only you have access to that folder. Note: Currently the import routine cannot handle SFcht files available from the Databank ADB database These SFcht files can be very large and hold thousands of charts which may cause AC to crash with an out of memory error. Therefore you are advised to only use the method outlined here to create SFcht files for export to AC. 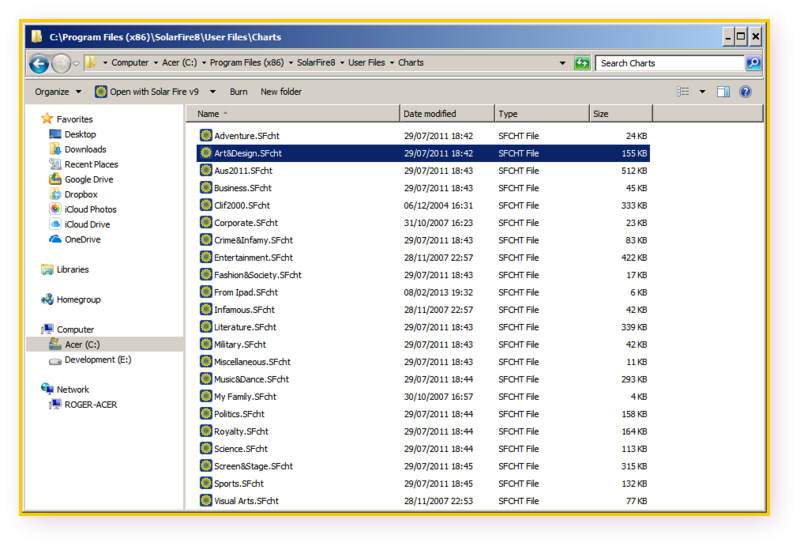 Animated GIF – Creating a SFcht file from a selection of chart files. 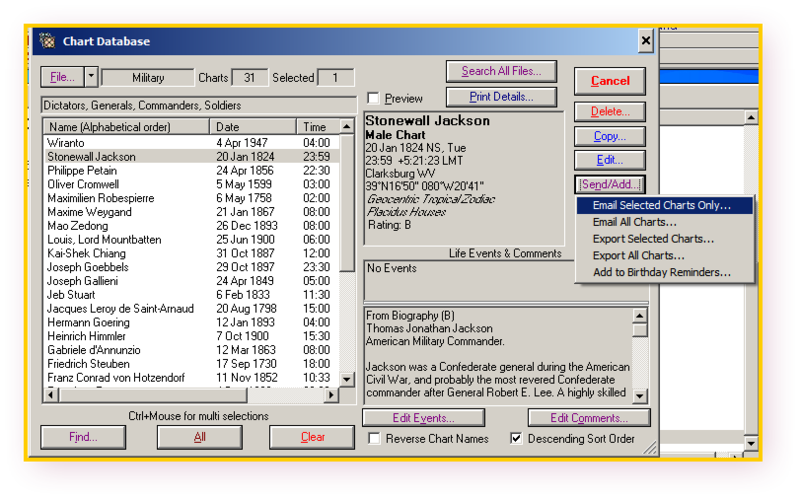 Select the SF Chart Database from the Open file – second icon from top left. Solar Fire Gold ver 9 is used. A similar method – animated GIF – from the SF Calculated files list. 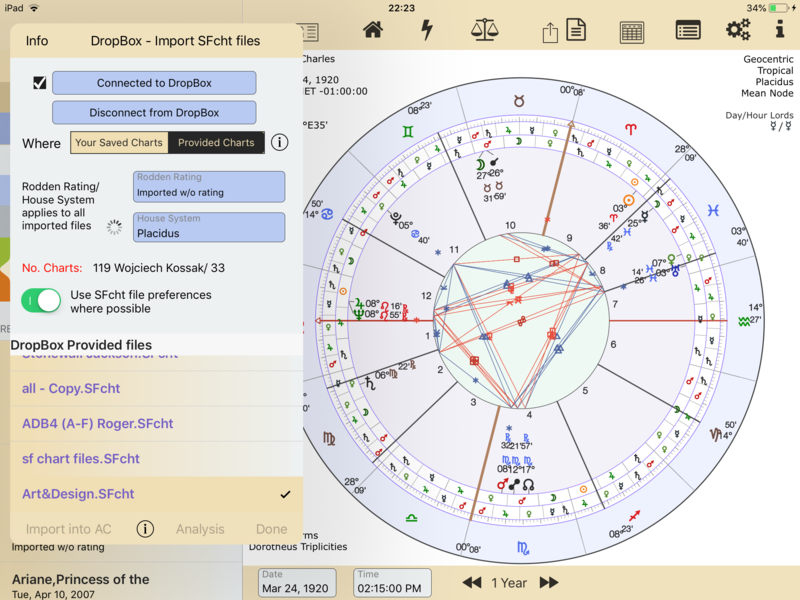 The above files can be safely used to import SF charts into AC. Astro Gold Export (iOS) – iPad. 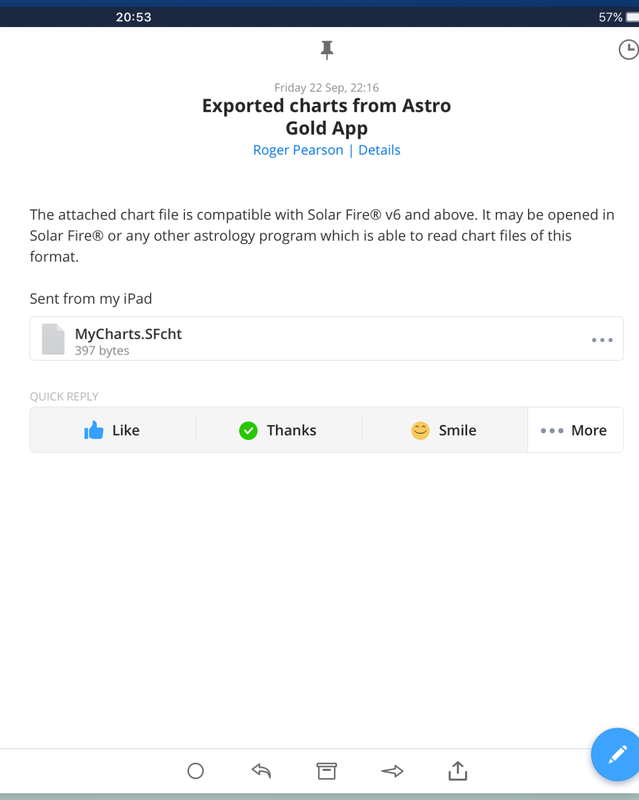 The procedure to email Your Chart Files from Astro Gold is very simple. 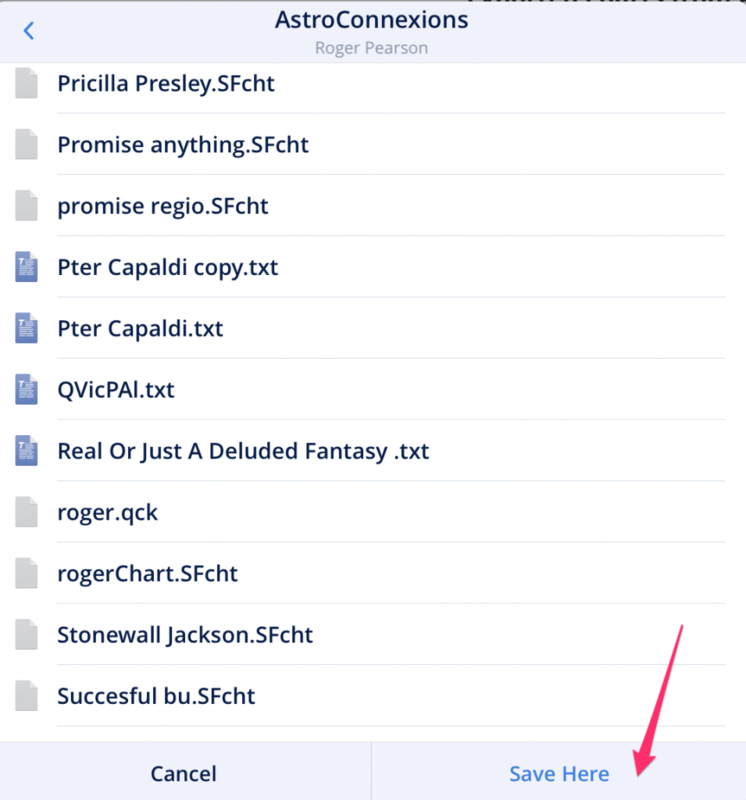 The procedure to copy the SFcht file into you AstroConnexions DropBox app folder is shown below. I use Spark (email app) on my iPad. 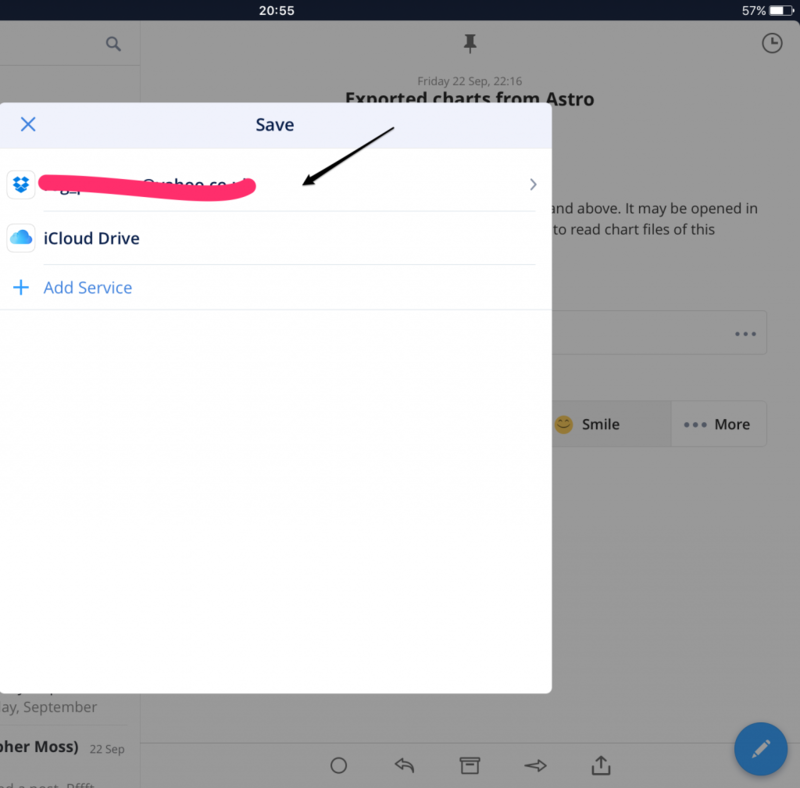 Use the share button/selection in your email to copy the SFcht file to the AstroConnexions DropBox app folder. The procedure is identical for Solar Fire Sfcht files and Astro Gold SFcht files. 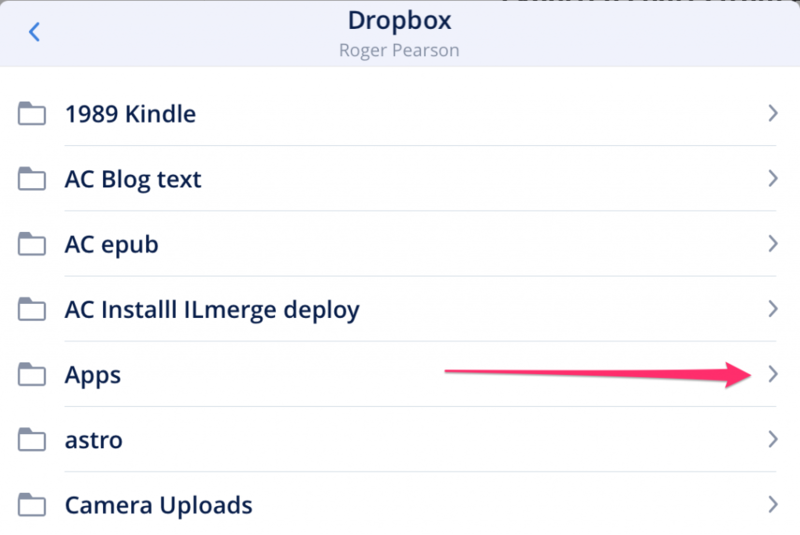 Selecting a method to put the file into DropBox. Select Save or Share. Selecting DropBox from the resultant Save selection. A similar procedure can be followed if you have a Mac. 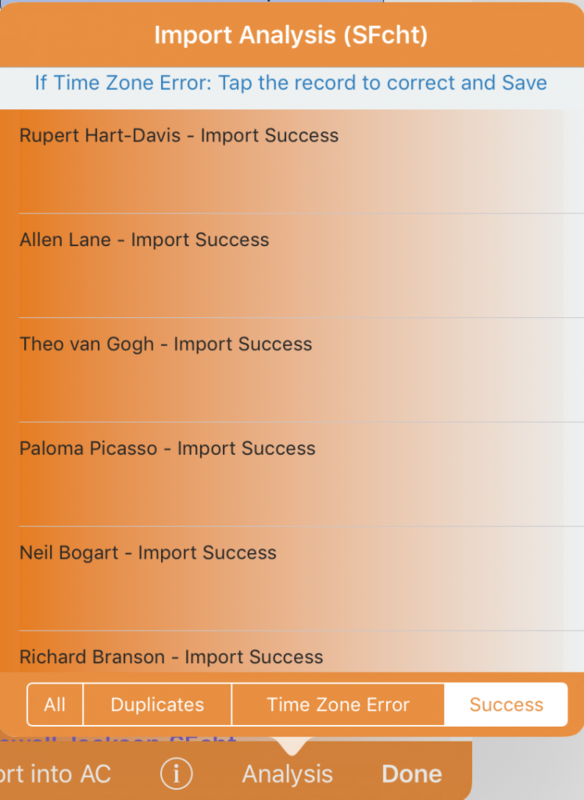 Import Analysis Table. Tap the record to proceed. 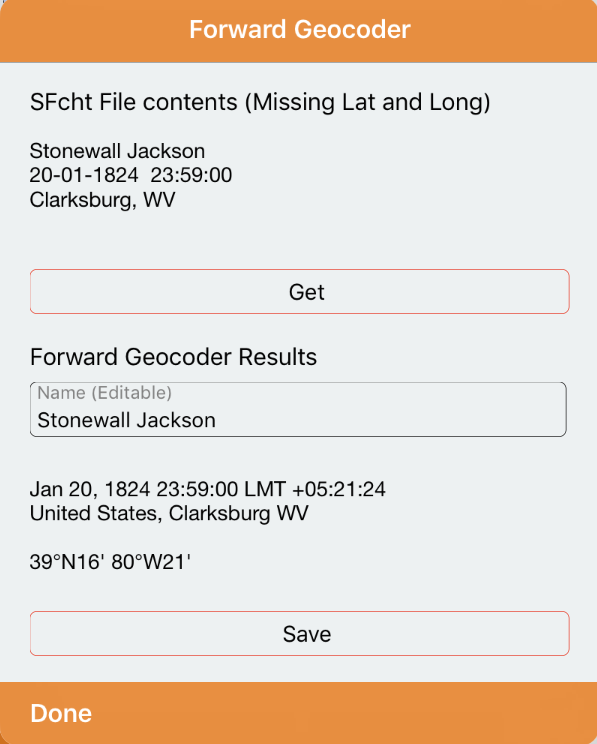 Forward Geocoder, and analysis of the date/time etc. Checking that the Rodden Rating is correct. 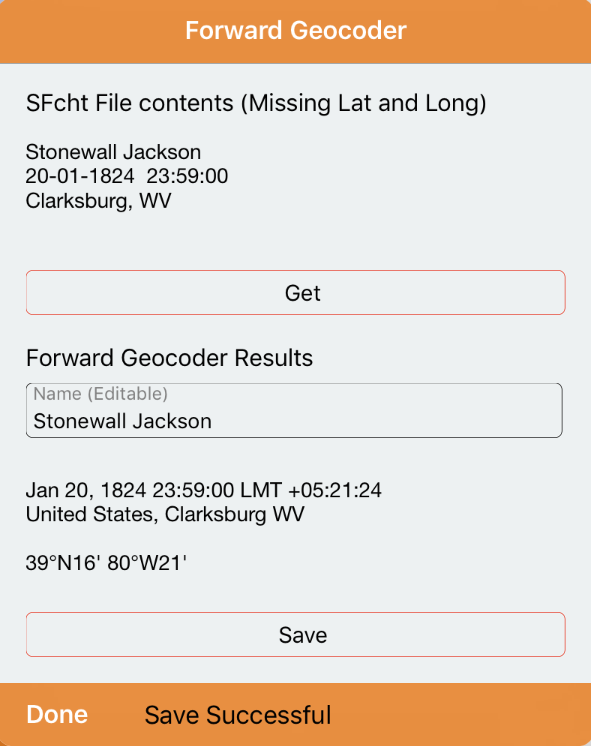 AC Stonewall Jackson Chart. After importing the SFcht file. SFcht chart files can hold more than one chart record. 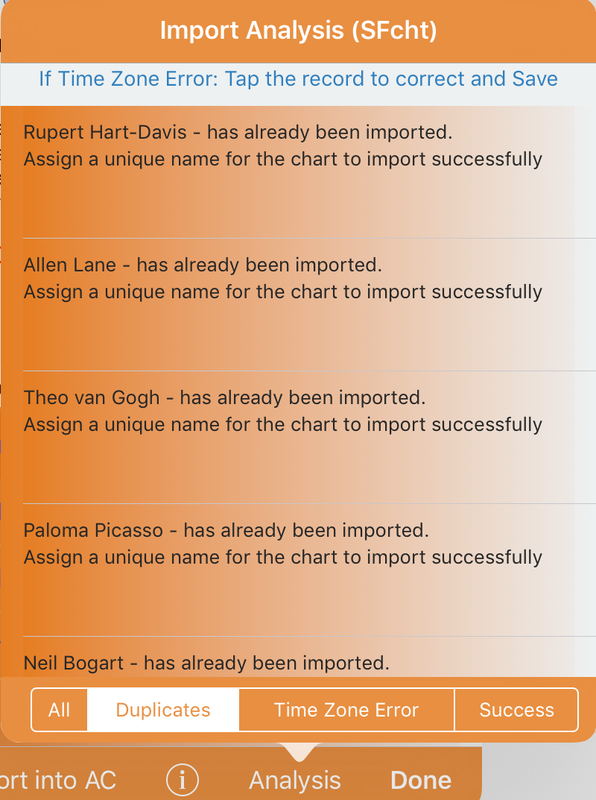 AC can handle more than one chart at a time, ie it’s possible to import more than one chart at a time if a SFcht file holds more than one chart record. SFcht chart files are binary and cannot be examined like a CSV file. 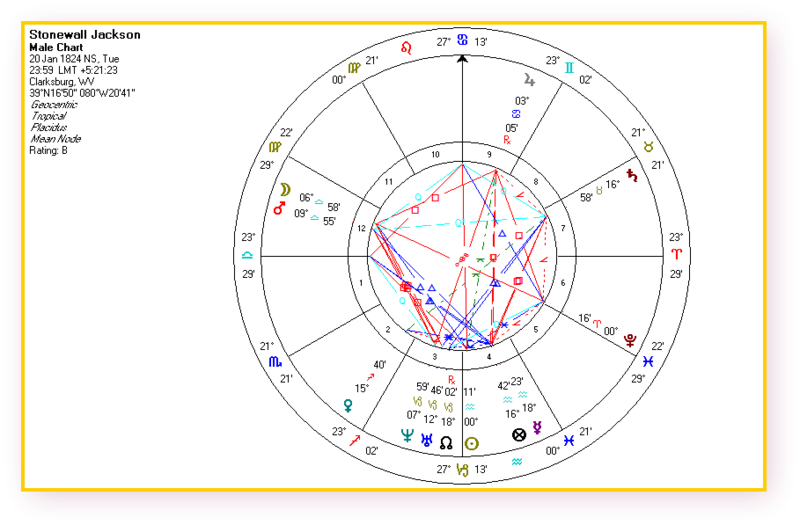 Astro Gold SFcht files – they always state (last time I examined them) the Placidus house system. No Rodden Rating is given. Therefore when importing Astro Gold files Rodden Rating is taken from the Rodden Rating on the AC Import form. Solar Fire files – have an entry for the House System and Rodden rating. 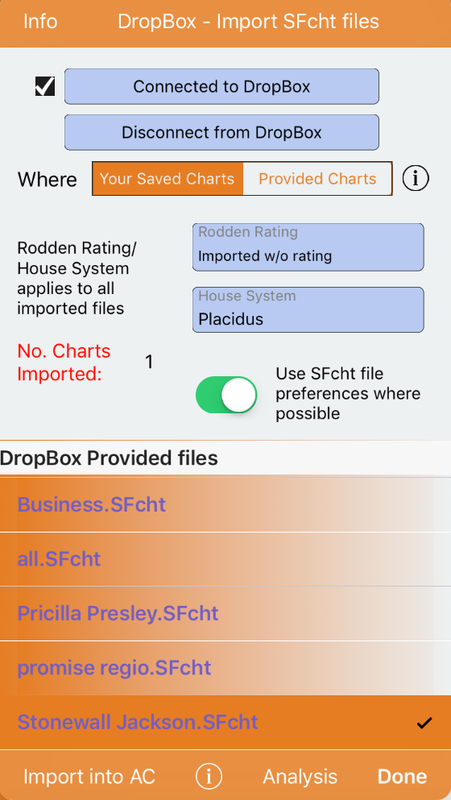 To use the Rodden Rating and House System on the AC form switch off the ‘Use SFcht file preferences where possible’. Transit, progressed or other charts are ignored if importing them. 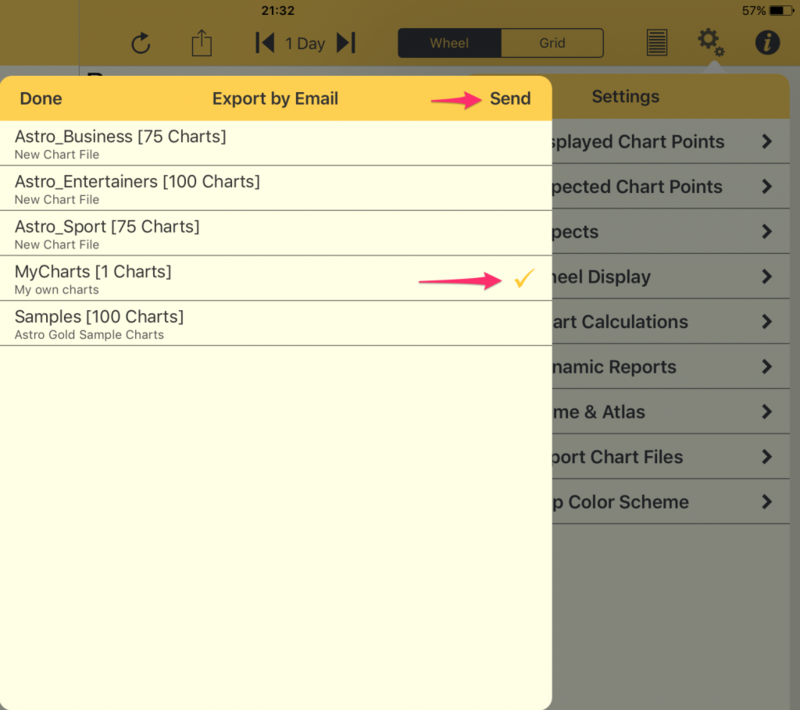 Here’s a video that shows part of the process of importing quick*charts. This is very similar to the process of importing SFcht charts. iPad used for Video: iPad Air 2.